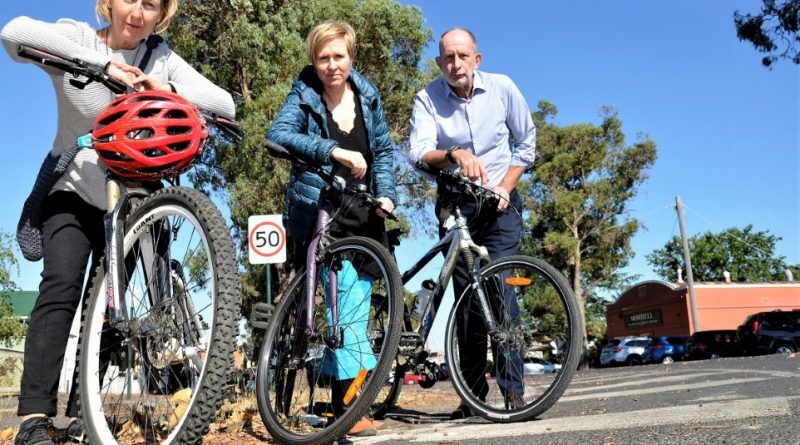 Castlemaine health professionals and concerned parents Dr Marg Peck and Susie Burke and cyclist Rob Scott are calling for a bit more respect and tolerance on our roads. 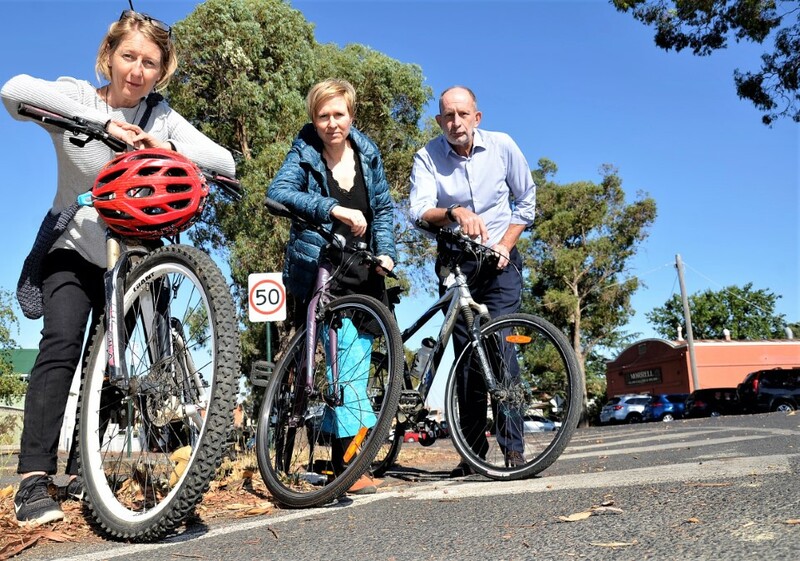 Castlemaine health professionals, parents and cyclists are calling for more care and respect on our roads following recent incidents of motorist aggression towards local cyclists. 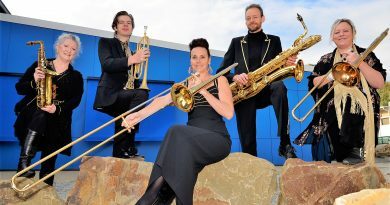 Castlemaine chiropractor Dr Marg Peck and psychologist Susie Burke both have cycling sons who regularly train on the roads, and they contacted the Midland Express to raise concerns about incidents of aggression displayed by some motorists around cyclists. Their concerns are echoed by Castlemaine cyclist Rob Scott, a support services manager at Castlemaine hospital and a keen member of the Thursday Night Bunch – a social cycling group of men who cover about 45 km of local roads in and around Castlemaine, Harcourt and Chewton as a peloton on Thursday evenings. They all agree it’s a minority of drivers who are responsible for the concerning behaviour, but say it only takes one slip to seriously harm or kill a cyclist. “Our biggest issue would be cars that don’t slow down or give us the one-metre or 1.5-metre courtesy buffer,” Rob says. Casual cyclists and cycling commuters themselves, both Dr Peck and Ms Burke have been alarmed at their sons’ accounts of motorist aggression out on the roads. “Our boys are out training 25 hours a week and they have had direct hostilities out on the roads – tailgating, aggressive words and people have even thrown rubbish at them,” Dr Peck said. “The people who are doing this need to realise that it’s one slip and it’s a life you’re destroying. “Our sons have had cyclist friends killed as a result of careless and illegal driving accidents on the road,” Ms Burke says. Ms Burke would particularly like to see more people take up cycling as a healthy and environmentally sound mode of transport and is calling for greater support for local cyclists from Mount Alexander Shire Council. “I’d like to see more cycling lanes put in,” she says, suggesting Castlemaine’s main thoroughfares including Barker Street, as first priorities. “I nearly got knocked off my bike by a caravan in Barker Street. It hit my handlebars. It was horrifying,” she says. ← Did you sense it too? 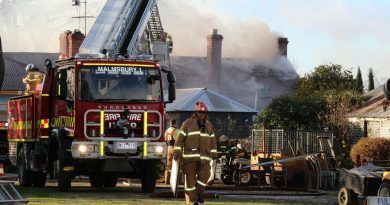 Firefighters salvage personal belongings of value as they battle a fire at Tonia Todman's historic Highbank property at Kyneton. 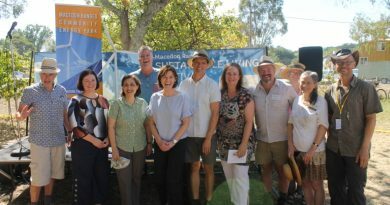 (From left): Bruce Mildenhall, Lisa Chesters MP, Lily D'Ambrosio MP, Barry Mann, Mary-Anne Thomas MP, Al Reid, mayor Janet Pearce, David Gormley-O'Brien, Cr Jennifer Anderson and Ralf Thesing.